“The Signal Tower” in Picture-Play Magazine. In 1923, Universal Studios handed Clarence Brown an opportunity to return to his youth by assigning him the film “The Signal Tower” to direct. A story of a railroad man directing train traffic and trying to read the signals in his own marriage, the movie seemed perfect for a former engineer who grew up near the railroad in Knoxville, Tenn.
Born 1890 in Massachusetts, the precocious Brown displayed great interest in machines and technology, pulling them apart and repairing them. Theatrics also fascinated him, a perfect blend for a future director. He graduated from high school in Tennessee at 15 and by 20 earned a double degree in engineering and established his own business while also maintaining an interest in amateur theatrics. Brown worked for automobile companies before opening his own dealership, but by 1915, the lure of the moving picture industry beckoned the artist-engineer. Traveling to Fort Lee, N.J., the ambitious greenhorn overheard a conversation about artistic director Maurice Tourneur looking for an assistant and convinced the veteran to hire him. Sharp and driven, Brown learned quickly, gaining multiple duties. Tourneur’s great eye for striking visuals, atmospheric lighting, and drawing fine performances from his actors heavily influenced his devoted student. After five years, Brown launched his directing career with strong support from his respected mentor on the film “The Great Redeemer” written by and starring a dashing young John Gilbert. Brown learned well; right out of the gate he gained acclaim and respect for his work. Wid’s Daily called it “highly commendable…high class,” and even beautiful, while Exhibitors’ Herald described it as “splendid.” The director worked twice more with Tourneur before gaining his independence as a movie helmer, growing in style and artistic ability. By late 1922, Universal signed Brown to direct films for their high-end brand, Super Jewel films. Most of these productions drew from the studio’s large supply of popular novels and stories full of rich, human drama. After the success of “The Acquittal,” Brown started on “The Signal Tower,” featuring the talents of Universal contract players Rockliffe Fellowes and Virginia Valli, freelancer Wallace Beery, and young Frankie Darro. 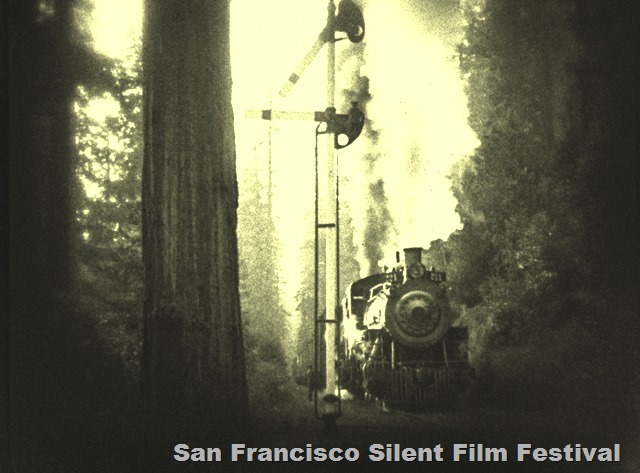 “The Signal Tower,” courtesy of the San Francisco Silent Film Festival. Written by former journalist and mystery writer Wadsworth Camp, “The Signal Tower” had been named one of the best American short stories of 1920. Set in a desolate rural area, the story focused on dedicated railroad man David Taylor who serves as watchman in a signal tower directing trains and preventing crashes while his lonely wife, Sally, maintains their household and family. To make ends meet, he invites a new signal worker played by Wallace Beery to rent a room in their home. Taylor finds himself faced with conflicting priorities when he learns his wife is in danger at the same time he tries to prevent two trains from colliding. Brown felt himself drawn to the story, fascinated with the majesty and machinery of the iron horse and nostalgically reminded of his childhood. The engineer threw himself into dissecting the mighty engines and devising a way to stage the railroad scenes and accidents. Director Brown loved location shooting, believing it added flavor and authenticity to a story, telling the Universal Weekly that there were times when a story was too big to dress up with lavish sets or huge casts but instead required natural locations. He chose the country around Fort Bragg in Mendocino County for its gorgeous forest cathedral, a temple of trees, which author Gwenda Young in her biography of Brown describes as adding dramatic counterpoint to the story of human vulnerability. Entertainment trade Camera! reported filming taking place over nearly seven weeks in the redwoods, with cast and crew of nearly 50 staying at the Novo River Tavern near Fort Bragg after shooting a few days at a rail yard near Oakland. The Sept. 28, 1924, Davenport Democrat and Leader stated the crew took the “electric speeder” locomotive to the location each day from their inn which was nicknamed the “Clarence Brown Special.” Their trains consisted of 15 freight cars, 2 locomotives, and other equipment rented from Southern Pacific. Days were spent capturing trains barreling through majestic landscapes, flying over and through ravines, and around dramatic curves, with nights dedicated to filming the doom and despair of crashes. The scenic landscape served as character as much as setting. Because a real signal tower was typically small and cramped, the Los Angeles Times reported that Brown and the technical department at Universal built a portable tower with sectional walls that could be removed to facilitate shooting and transported it north, where it was “set up at a siding along the California Western Railroad and Navigation Company’s tracks between Fort Bragg and Willats in the Sierras,” per the Sept. 29, 1924 Santa Cruz Evening News. To facilitate shooting at the studio and to stage a massive train wreck, Universal negotiated with Pacific Electric to construct a spur into Universal City, near which tracks, trestles, and other accoutrements were erected. They purchased locomotives and equipment to make two trains and then filmed the thrilling collision, which the Los Angeles Times claimed cost at least $10,000. “The Signal Tower” received unanimous praise after its world premiere in London and at a convention of Brotherhood of Locomotive Engineers, with many calling it one of the best of the year. The Aug. 2, 1924, Los Angeles Times stated that Brown’s compelling direction of the film raised him a rank above most directors, bringing dynamism to the human story. They praised the train sequences and its depictions of real people dealing with the emotions of normal life. “There is something intriguing about giant iron monsters faithfully creeping over vast spaces…and in this production they are beautiful, too… “ Most reviews praised the cinematography and artistry of the film as well as the thrilling action sequences. Many papers and magazines praised its clean family values, and others described it as an authentic slice of life. Film Daily called it a crackerjack railroad story. Wid’s Daily described it as “nearly impressionistic” for how it emotionally drew audiences in. Thanks to the San Francisco Silent Film Festival, new audiences can see Clarence Brown’s majestic artistry. Working in conjunction with Kevin Brownlow’s Photoplay Productions, the SFSFF has restored the film, and will premiere it at the upcoming Silent Film Festival on Thursday, May 2, revealing more of Brown’s mastery as film director. This entry was posted in 1924, Coming Attractions, Film, Hollywood, Hollywood Heights, Mary Mallory and tagged 1924, Clarence Brown, Rockliffe Fellowes, SanFrancisco Silent Film Festival, silents, Virginia Valli, Wallace Beery. Bookmark the permalink.